Well it's definitely not spring yet, but the snow does make a nice backdrop for my quilt top. I used some Hunky Dory jelly roll strips to make this and cut 2 1/2 inch strips from my stash fabrics as well. 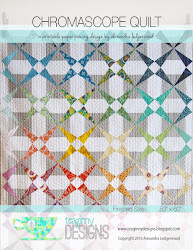 I believe this type of quilt is called a plus quilt or a cross quilt, a simple type of tessellation. If you'd like to try your hand at a similar pattern let me suggest you get a design wall first. A design floor, like I currently use, is not very helpful :). Little feet tend to get the pieces out of order. If you'd like your quilt to be larger than baby size, which is all I attempted, you'll also spare your sanity much trial by using wider strips! I may leave this as is, but I'm tempted to make it a bit larger with borders. I've seen such inventive and unique borders around, like Tia's and Carla's that I have challenged myself to try one of my own soon. 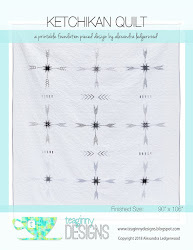 But, I also did a little research and have not been able to find any plus quilts with borders. Maybe that is a hint this may not be the place to experiment. It looks great! When I made my plus pillows, I drew out the design on graph paper first. 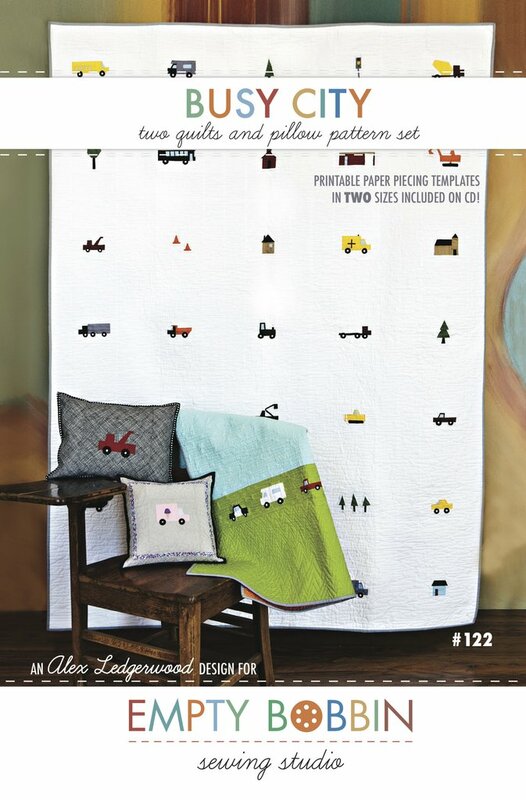 I can imagine that a design wall would help when making a bigger quilt though. Such a pretty line of fabric. I've been using a couple of charm packs of Hunky Dory for some hexagons. 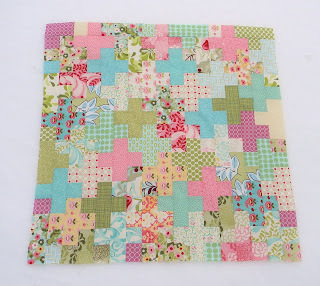 Your plus quilt looks wonderful! I don't think a border would look right. just my 2 cents. Love the colors in this! I'm trying to imagine it with a border, but I can't. My vote is to leave it off! I love this! Such beautiful fabrics for this design. I have had this design in my journal for awhile now. I soooo want to make one and yours is inspiring me to get going on it! Your Plus Quilt Top came out great. It looks so light and springy! I've never tried to make one of these but after seeing yours I think I might. You always get me in so much trouble (good trouble!). I think a solid border with a scrappy binding would look great. 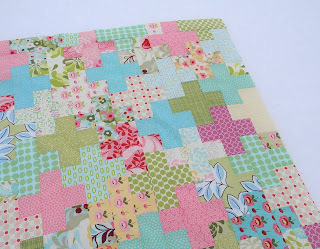 I think that this is one of the prettiest fabric combinations I have seen for this pattern ! Don't give up on making it bigger if you really want to. 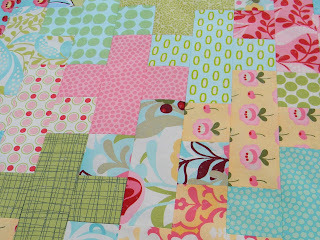 My plus quilt has a border... why not have a look?